This global financial organization selected the Appery.io cloud platform to develop and launch this hybrid mobile app. Picking Appery.io was bolstered by the platform’s rich built-in functionality as well as the efficient teamwork in working with Appery.io. 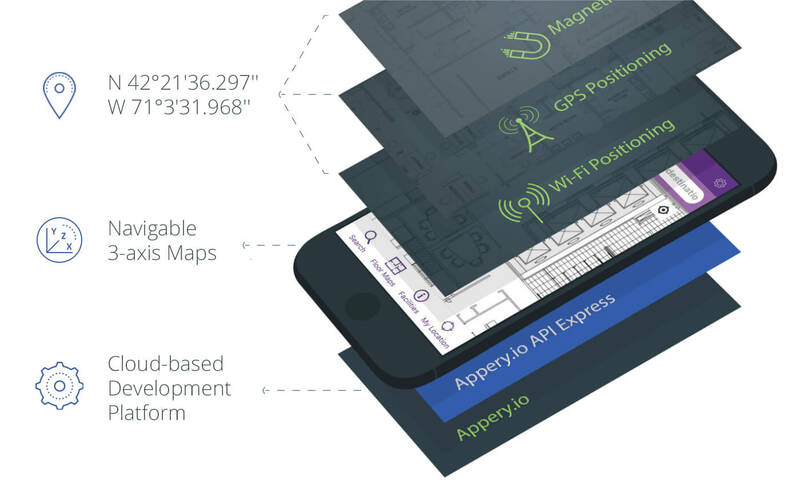 The Appery.io mobile app architecture took into account overcoming GPS signal attenuation, possible Wi-Fi signal fluctuations, and local magnetic field deviations by implementing a combination of Wi-Fi, GPS, and magnetic positioning approaches. The app also used the offline synchronization supported by Appery.io API Express (built into the platform). In addition, the app brought together flat floor plans and geo-coordinates into navigable 3-axis maps. 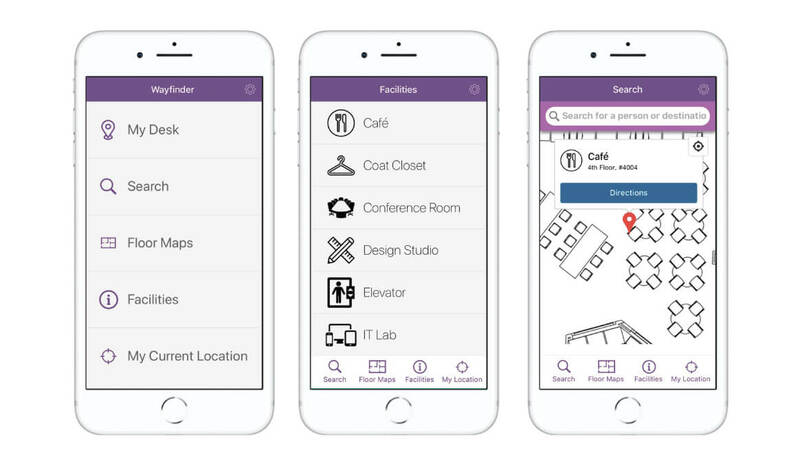 The app was first distributed to the global asset management organization’s employees in Boston, MA, where it was a great success, enhancing the working environment in the office. And now, Global adoption by all the company’s offices is very near.